Okay, enough silliness – what I am here to discuss today is my blog future. I started writing this blog in December 2009 (first post here) after realizing how much I enjoyed chronicling our wedding planning adventure (that blog is here). About a year ago, I revisited this blog’s purpose (post here) and since then, I’ve continued to enjoy the connection that this blog provides me to so many wonderful people from so many walks of life. I also have this blog to thank for the immense success of my first Team in Training experience – which proved to me that each one of us, no matter how small we feel, has the the ability to make a difference in this world. As my bitty blog begins to grow, I have been contemplating the next step for it. Do I want to continue on, with wordpress.com forever? Do I want/need to self-host? Would it be better in the long term to create a prettier header or layout design? Right now, I don’t really have the answers. With the full-time gig, PT grad school jazz, marathon training and general life confusion, I am not really sure. 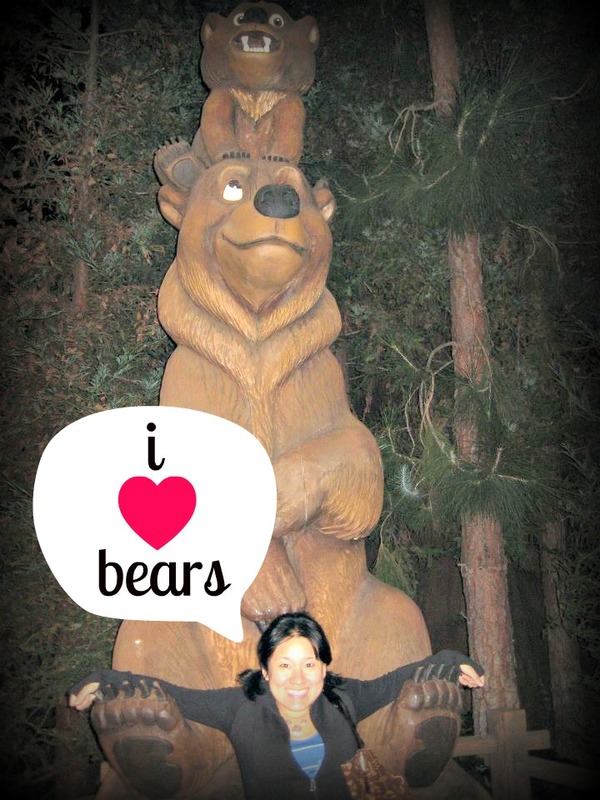 All I really know is this: I will continue to share my love of bears, kittens, running, Disney, baked goods, bad pop music, life events (both significant and non) and my dorky ol’ face. So in a nutshell, THANK YOU for coming along for the ride. I appreciate each and every visit, follow and comment – and I do my darndest to continue to respond to 99 point 7 of all comments received (very scientific) because I really and truly love having this little nook here on the Internet as a place to share with friends and family. If you blog, what is your blog about? If not, what would you blog about? 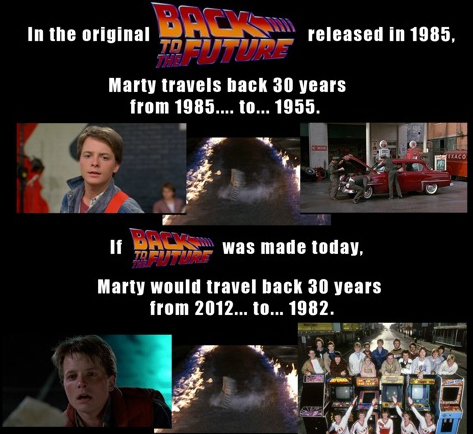 That totally blew my mind about Back to the Future! I feel so old now. Thanks 🙂 My blog is about running. Mostly about my experiences running. I started writing it for myself, but it has developed into a bit more than that. I haven’t been writing as much lately as life (as you stated!) has interfered 🙂 Right now I’m looking forward to the end of our softball season (I coach 8u), the school year (I teach 2nd), my son’s baseball, my virtual 5k, and heading to Disney. When is your next Disney trip? Sounds like you definitely have earned a great vacation after all the awesomeness you have been up to!! I love you and your blog. Of course I want you to continue blogging because it brings you happiness, but out of pure selfishness, I hope you continue because I love your posts!! I’m so grateful to have met you through blogging AND be able to call you my real life friend. I say get a domain name and go self-hosted ASAP!!! The whole process of going self-hosted really daunts me! Do you have any tips to share? thanks BFF. I am wishing we could go back in time right now and ride the BTTF ride…and JAWS, too! Hahah thanks, Ali!! 🙂 I am so glad we share a love of Back to the Future 🙂 Which one was your fave? Thanks for the kind words as well – great advice to remember!! I have the same questions about the wordpress hosting crap! If you figure it out…let me know 🙂 And please, keep on writing! Thanks for the nice words, Ali! I will definitely let you know if I get it figured out 😀 I am also noticing today that I have a lot of Ali/Allie friends. How cool is that?!??! About a year ago, I contemplated moving my blog over to self-hosting. Granted, I’ve had my blog since 2006, so there was a lot to move over. Even moving to the regular WordPress screwed up my layouts and stuff. I kind of just decided to stay where I was for simplicity’s sake. I’m not sure how long I will blog or whatnot, and although I make some pocket change from it, it’s just a hobby in the end. Do what’s right for you — I totally did the same school/work/running biz, and it’s really tough to make the commitment all around! Meaning hobbies can relax a little! Thanks for the words of advice, Julie! I can definitely see the pros and cons….